Every once in a while, architecturally significant and beautiful buildings appear that forever changes a city’s skyline and wows the construction community. These buildings become tourist attractions and are forever revered for the construction feats that contributed to their building. Read on to learn about five buildings that changed construction forever. Construction began on the 22-story Flatiron Building in 1902, its unique shape designed to fit the triangular-shaped piece of land on which it sits. This building is considered the nation’s first true skyscraper, and it elicited much controversy at the outset. People thought the wind whipping around the corner might knock the building down. 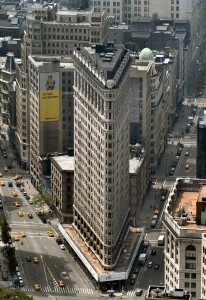 At the time of construction, the Flatiron ranked among New York City’s tallest buildings. With a skeleton made of steel and reinforced concrete, professional construction tools such as rebar cutters were used to assist the construction, which was cutting-edge for its time. 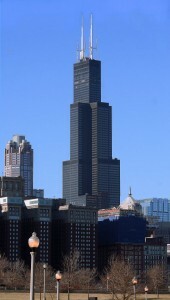 At 110 stories, the Sears Tower ranks as one of the world’s tallest buildings. Built in 1970, it was designed as a central office for Sears Roebuck and Company, then the world’s largest retailer. Construction lasted for three years, and the building required record amounts of steel-reinforced concrete — enough to build a five-mile stretch of an eight-lane highway. Professional construction tools such as rebar cutters, hammers and welders were used to construct the legendary building. 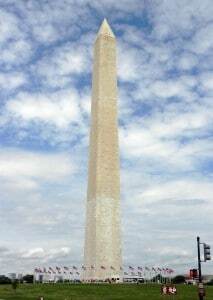 The Washington Monument soars 555 feet into the sky, a tribute to first U.S. President George Washington. Construction was completed in phases between 1848 and 1884, and it once ranked as the nation’s tallest structure. Constructed mostly of marble, the monument has an iron staircase and steel beams supporting the elevator shaft. Later renovations to the elevator likely required professional construction tools, such as rebar tools. 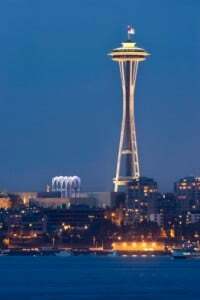 Seattle’s iconic Space Needle opened to the public during the first day of the World Fair in 1962. The structure, which stands 605 feet tall, ranked as the tallest building west of the Mississippi at the time of construction. With a revolving restaurant and observation deck that allows for views of the entire city, the Space Needle is the ultimate tourist attraction. During construction, 467 cement trucks were used to pour the foundation. The foundation contains 250 tons of reinforcing steel, which professional construction tools and rebar tools were used to construct. 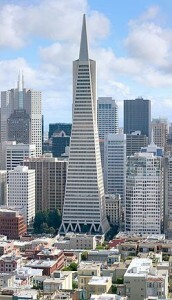 The TransAmerica Pyramid consumes an entire city block and marks the gateway to San Francisco’s Financial District. Construction began on the structure in 1969 and the first occupants moved in during 1972. The structure spans 853 feet and 48 floors high, and ranks as San Francisco’s tallest building. Over 300 miles of rebar secures the Pyramid’s base and foundation. Professional construction tools such as rebar cutters were used to build this famous structure. Because San Francisco is a hotbed of earthquake activity, the Pyramid features protective measures such as a 52-foot deep foundation made of steel and concrete, and an exterior protected by white precast quartz aggregate interwoven with steel reinforcing rods on every floor.